On Sunday morning (8 May 2016) 5 Norfolk Court was demolished. This was the last of the high rise blocks in what was once the Laurieston Gorbals Comprehensive Redevelopment Area to go. 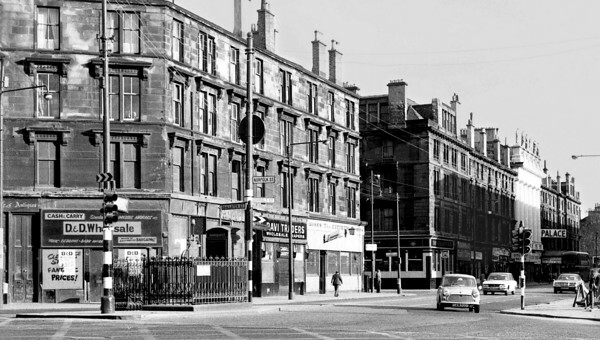 Laurieston is again being redeveloped, just as it was in the early 1970s. The area has declined all through this century becoming a ‘transit’ residential quarter accepting successive waves of immigrants and to-day much of the property is nearing the end of its useful life. The population density is very high and it is known from a sample survey carried out in 1958 that there is a high degree of overcrowding in sub-let premises. The maintenance of residential properties is noticeably poor. This were to be replaced with ‘modernist’ high density housing estates containing high and low rise flats. 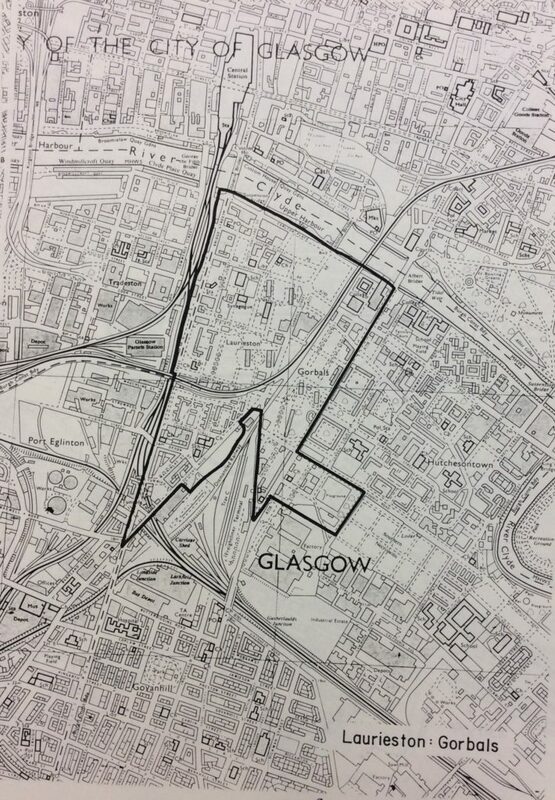 Gorbals was a large area and therefore in its plans the Corporation divided it into three areas, Hutchesontown-Gorbals CDA, Polmadie-Hutchesontown CDA and Laurieston-Gorbals. Work started in the central area Hutchesontown-Gorbals in the late 1950s, with Laurieston-Gorbals following later in the 1970s. Designed by George Bowie, Chief Architect at Crudens (the company that also built Sighthill), the two blocks at Norfolk Court were approved in 1970 and completed in 1973. 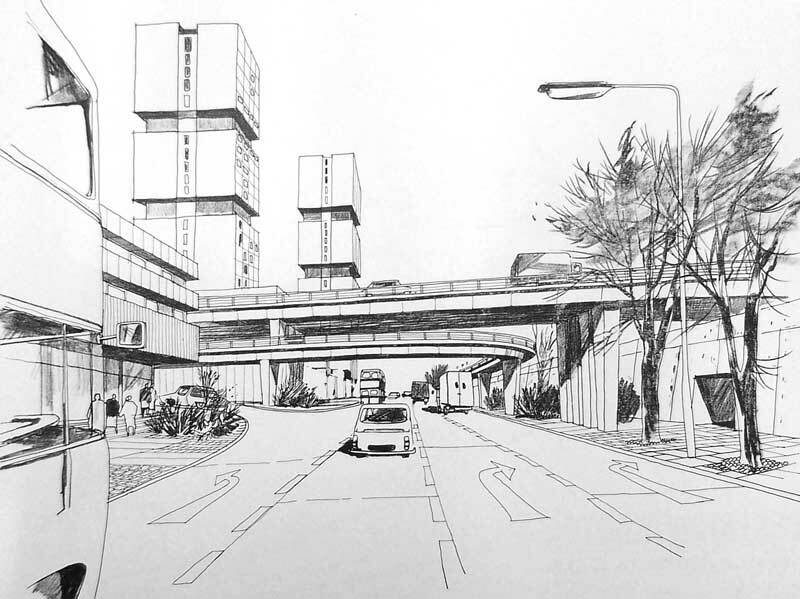 Laurieston-Gorbals CDA not only involved the construction of four high rise blocks, Norfolk and Stirlingfauld Courts (approximately 5,500 houses were to be replaced by 3,000 flats in multi-storey blocks), but also included a section of the proposed inner city ring road. 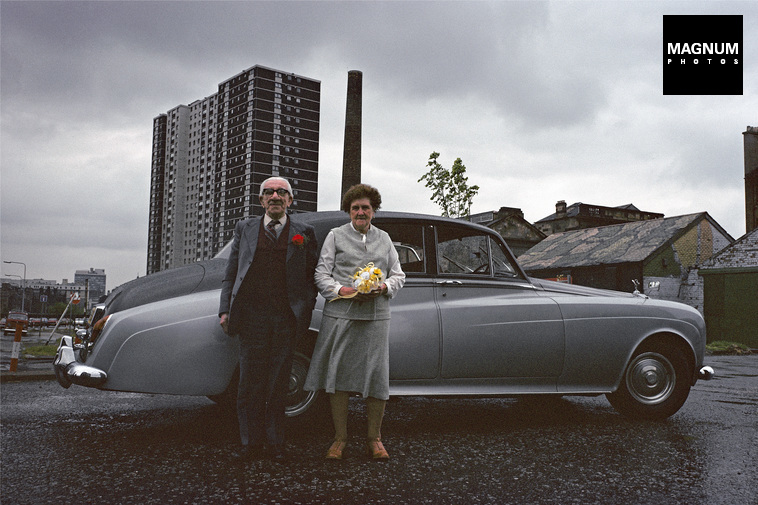 One of our main sources on the ‘Housing,Everyday Life and Well-being ‘ project has been Pearl Jephcott’s ‘Homes in High Flats’ archive held at the University of Glasgow. Jephcott had employed a team of market researchers to interview over 1,000 residents of high rise flats throughout Glasgow. Her study ran from 1968 to 1969, with her book being published in 1971, so Norfolk court does not feature in the archive. John and his wife Betty spoke of a sense of belonging in the high rise, ‘particularly in the little club on the ground communal area that served up mince and tatties to residents and held Christmas parties for the kids’. On the site of Norfolk Court ‘Laurieston Living’ a partnership of Urban Union, Glasgow City Council and New Gorbals Housing Association plan to build ‘800 homes in a variety of sizes’ in a ‘mixture of townhouses and flats – inspired by the grand tenements of Glasgow’. They categorically state in their ‘FAQs’ that none of the housing ‘will be situated in high rise blocks’. Plans for the new development include housing, offices, shops, a hotel, student accommodation, parking and a bar/restaurant. 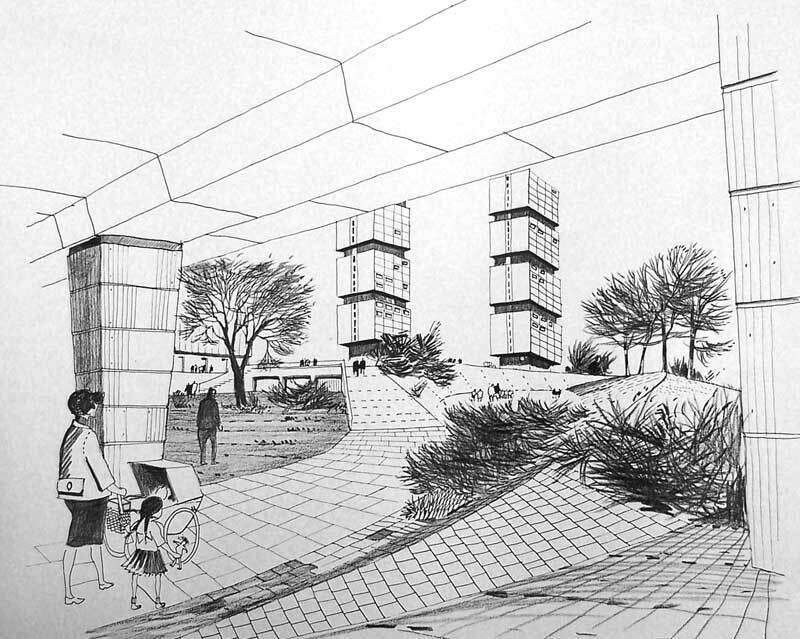 Also ‘at the heart of the new Laurieston masterplan is a city park which will knit together the new community’. As Laurieston is rebuilt again, inspired by the tenements that were demolished in the 1960s and 1970s, is ‘Laurieston Living’ fixing the mistakes of the past? 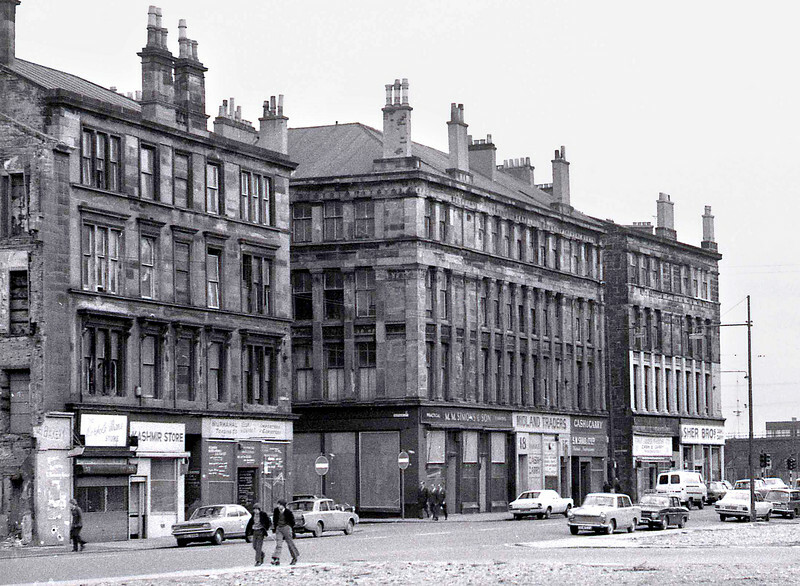 The wholesale demolition of the Gorbals in the 1960s and 1970s was controversial at the time and continues to be controversial today. For many people the high flats built in the 1960s and 1970s were a mistake, the tenements should never have been demolished, instead they should have been renovated. 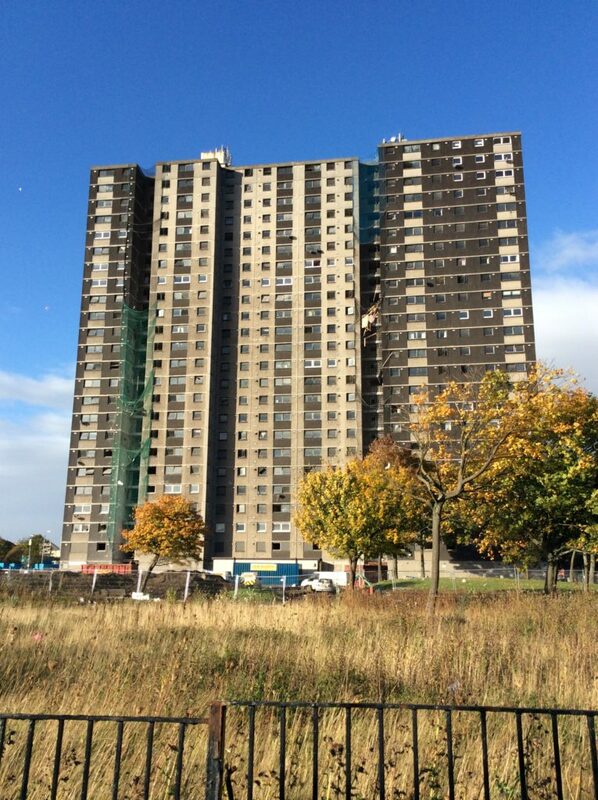 For others the high rise flats in Laurieston were home, it’s where they grew up, where they raised their families. As we’ve found from our online questionnaire, people have both good and bad memories of living in high rise flats. But what is clear is that there is nostalgia for the high flats of this era in the same way as there is for the tenements they replaced. Did you live in Norfolk Court?